Los Angeles, CA – Prog legends Nektar return with their triumphant 13th album ‘Time Machine’ on June 18, 2013 on Purple Pyramid Records – the first album of new material in over 4 years – that band leader and founding member Roye Albrighton is calling “The best album Nektar has ever made!” ‘Time Machine’ showcases a new depth of songwriting, melodic complexity and musical exploration that hearkens back to early Nektar releases such as ‘Remember The Future’ and ‘A Tab In The Ocean’. 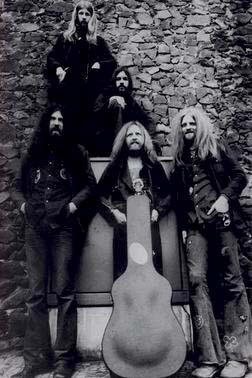 Nektar, featuring Albrighton, founding drummer Ron Howden, keyboardist Klaus Hentasch and bassist Lux Vibratus, is British, but was formed in Hamburg, Germany in 1970. Their early albums featured a heady, exhilarating mix of progressive, experimental rock sounds that soon caught on worldwide at the height of the international prog-rock boom. Touring the world behind numerous album releases throughout the ‘70s and ‘80s helped to cement the band’s reputation as an influential prog-rock legend. Having undergone a variety of personnel changes over the past decade or so, the band now boasts its strongest lineup in years and is ready to prove so yet again to its many fans throughout North America. In celebration of the 40th anniversary of the original release date of the band’s classic album, ‘Remember the Future’, Nektar is looking to perform in its entirety this most heralded release from its vast catalog, a rarity in that the band has not performed the entire album live in years. UK Prog Legends Nektar To Tour The US Summer 2013! London, UK – One of the summer’s most highly anticipated tours, “Legends of U.K. Classic Rock”, will feature progressive rock legends Nektar, beginning in June 2013. After a bit of an absence from U.S. Stages, Nektar is sure to be a treat for concert-goers who will be fortunate enough to catch one of the shows! Nektar, featuring Albrighton, founding drummer Ron Howden, keyboardist Klaus Hentasch and bassist Lux Vibratus, is British, but was formed in Hamburg, Germany in 1970. Their early albums featured a heady, exhilarating mix of progressive, experimental rock sounds that soon caught on worldwide at the height of the international prog-rock boom. Touring the world behind numerous album releases throughout the ‘70s & ‘80s helped to cement the band’s reputation as an influential prog-rock legend. Having undergone a variety of personnel changes over the past decade or so, the band now boasts its strongest lineup in years and is ready to prove so yet again to its many fans throughout North America. In celebration of the 40th anniversary of the original release date of the band’s classic album, Remember the Future, Nektar is looking to perform in its entirety this most heralded release from its vast catalog, a rarity in that the band has not performed the entire album live in years. Nektar’s new album, Time Machine, featuring the band’s first album of new original material in several years, will be released on Cleopatra Records on June 18. Los Angeles, CA – Space Rock fans rejoice! 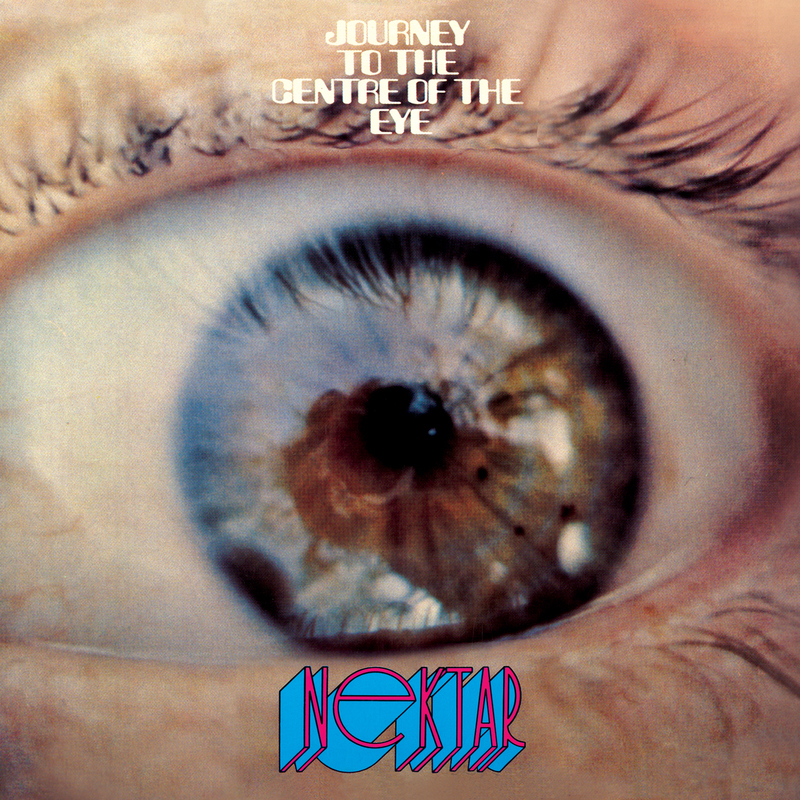 Purple Pyramid Records will be releasing a Special Collector’s Re-issue of ‘Journey To The Centre Of The Eye’, the classic 1971 debut album by UK progressive rock legends Nektar on February 26, 2013. This Sci-Fi themed masterpiece showcases a younger, spacier and more psychedelic Nektar. The CD will include the original album mix fully remastered, original liner notes by famed rock biographer Dave Thompson and a bonus CD featuring a vintage live performance of the entire album! This re-issue kicks off a series of Nektar catalog releases that will culminate with the release of a new studio album, ‘Time Machine’ coming this summer 2013. The Nektar story is a remarkable one. A British rock band that found stardom and major success in Germany and the USA, yet failed to make a significant breakthrough in their own country. With three gold albums under their belt (‘Remember The Future’, ‘Down To Earth’ and ‘Recycled’), Nektar produced some of the most original work of the seventies and eighties. In virtuoso guitarist Roye Albrighton Nektar had a charismatic front man who had shared a stage with Jimi Hendrix, in Allan “Taff” Freeman a unique keyboard player, in Derek “Mo” Moore a bass playing powerhouse and in Ron Howden a fluidity rarely found in a drummer. Fifth member Mick Brockett was not a musician, but was responsible for one of the most stunning light and visual shows ever to grace a rock stage. Nektar’s history appeared to have been written when they finally split in the eighties. Despite attempts to re-kindle the flame, the Nektar light, it seemed was out…until the year 2000. The new millenium saw the long awaited reunion tour of the classic line-up, to rave reviews and fantastic receptions. The light we thought was out, had in fact been kept aglow – by loyal fans across the globe! An American tour in September 2004 saw Taff Freeman depart the band for personal reasons and his successor, Hammond virtuoso Tom Hughes, instantly earning a place in the hearts of the Nektar faithful. With continued concert dates, along with the remastering of the remainder of the Nektar back catalogue on CD, this legendary band has become once more a proud force to be reckoned with in the world of progressive music. In 2007 Nektar truly took over their own management, procured their official website as their own, became an entity entirely under their own control and went on a 22-date tour of Germany. The band released the critically acclaimed CDs ‘Book of Days’ in 2008 and the live DBL CD ‘Fortyfied’ in 2009. Signing with US label Cleopatra in 2011, the band competed it’s first U.S. Tour in seven years by virtue of a successful month-long jaunt of the States, to the delight of their U.S. Fans both old and new. The final Los Angeles date on this tour was captured on the Cleopatra Records 2012 DVD release ‘Space Rock Invasion’. In 2012, Nektar released ‘A Spoonful Of Time’ on Cleopatra Records; a psychedelic head trip through classic rock radio with artful twists on classics by The Doors, Pink Floyd, Rolling Stones, Blind Faith, Steve Miller, 10cc and others. Nektar is set to make its mark once again with the release of their highly anticipated forthcoming studio album ‘Time Machine’ this summer! As far as future plans for Nektar: “To make more music, and to experiment more in different ways,” says Albrighton. Nektar will be a part of the Cruise to the Edge cruise in March with the Yes, Tangerine Dream, Saga, Steve Hackett – Genesis Revisited, Carl Palmer’s ELP Legacy, UK and others. 1. How did you decide to record this album full of covers? The idea originated from Cleopatra who thought that Nektar doing a covers album might be of interest to their fanbase. 2. Many famous musicians participate in this album, did you or the label contact the musicians? The label were the instigators of this..they had the contacts accumalated over the years and conacted them with the offer to do it. 3. Did you meet any of the guest musicians or they had already recorded their own parts before you enter the studios? Apart from Joel and John Wetton I have never met any of the other musicians..the whole album was recorded remotely via internet. This has it’s advantages in such a scenario, however, recording an album of new music would need a different approach. 4. There a few risky numbers in this album such as covers of non progressive tracks such as “Africa” by Toto. Were you worried about the reactions from your oldschool fans? Not at all..our fanbase know that we try something different all the time and a covers album wouldn’t be that different, after all when Nektar were in it’s infancy we aso did a couple of covers. 5. What is the scope of this album, to extend your fanbase or satisfy your artistic will? Bassically just to show that we are human and not a progressive rock machine. 6. Did you ever share the stage with any of the artists that you decided to cover? 7. Who was the artist of the cover artwork? 8. Do you have any plans for an album with new music? 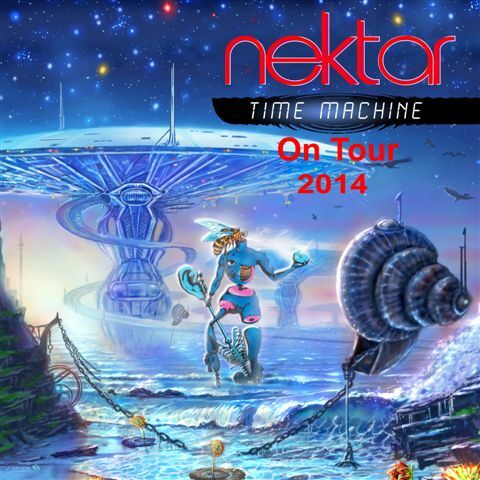 Yes we have a new Nektar studio album called “Time Machine” that appears early 2013. 9. Do you have plans to tour for the Spoonful Of Time album? Not really but we may put a track or two into the set over the next shows. 10. Are there any other covers that were recorded for a new cover album? Features performances by members of YES, King Crimson, Deep Purple, Symphony X, Opeth, Marillion, Asia, The Moody Blues, Dream Theater, Tangerine Dream, Mahavishnu Orchestra, Hawkwind, The Zombies and Cream! 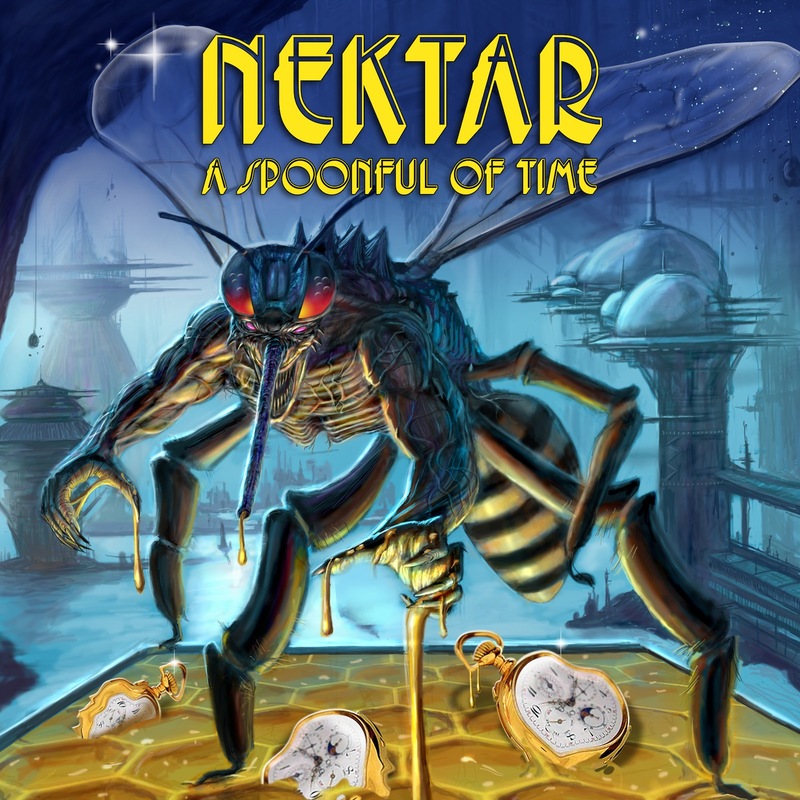 Oct. 31, 2012 – London, UK – Progressive rock fans worldwide are buzzing with excitement about the forthcoming release of a new covers CD by music legends Nektar called “A Spoonful Of Time”, featuring an all-star guest line-up! Celebrating their 43rd Anniversary, Nektar’s contribution over the past four decades has quite rightly earned them their place in any ‘Progressive Rock Hall of Fame’. 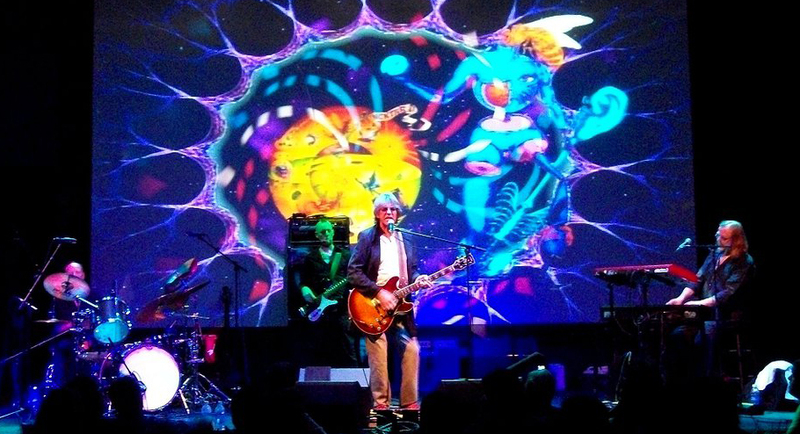 But the band is much more than a “prog legend;” the Nektar brand of innovative composition, performance and visuals is simply unique. And now on November 27th Cleopatra Records will be releasing the first ever covers album by the iconic UK ensemble, joined by an incredible gathering of musical heroes from a wide variety of genres! Hi Klemen..the pleasure is all mine. I was born in Coventry in the west midlands UK. Not that far away from Birmingham. Most of what I listened to when I was growing up has been forgotten in the sands of time however a few you may recognize..like..The Ventures and the Spotniks..and of course the Shadows of which I hold Hank Marvin in high regard as one of the worlds great guitar influences. The Peeps and Rainbows were basically the same band with the exception of the drummer and keys player..Martin Cure and myself were the two remaining members from the Peeps when we changed our name and musical direction. I was at this very time when I started to write my own material and worked it into Rainbows. When Rainbows came to an end, I moved to Sweden where I met up with an old promoter from the time that Rainbows toured there and he put me in touch with a band called the Outsiders with whom I played with until my return back to the UK. 3. Nektar was formed in Hamburg. How did you guys came together? Purely by chance I was walking around Hamburg during the day when Rainbows were playing at the Top Ten Club and heard a drummer rehearsing on his own in the Star club. During the day most of the clubs were closed and being cleaned and readied for the evening. This was the perfect time for artists to practice their chops. I looked in on the club and met Ron Howden and we hit it off together..the next day I brought my guitar along and we played together..this led me to moving over to Hamburg and becoming a memeber of the yet unamed Nektar in 1969. Actually it was produced by Nektar and Peter Hauke and was recorded at Dieter Dierks studio in Stommeln engineered by Dieter himself. I think one of my strongest memories of this album was (can we get away with this) it would seem at the time that it was maybe a little too far out for some people..but hey! what the hell..we just went ahead and did what we wanted and threw caution to the wind. What would you say is a concept behind the album? Many things can be taken from this album and can be associated with many situations in a persons life..however the overall concept would be using your minds eye to look inside yourself to see the real person within. As you can imagine..in those days there wasn’t very much around for effect pedals or synthesizer..the Mellotron was still a new toy so we used what we had to effect. An instance would be to turn the Hammond motor off and on to create the whining sound you hear sometimes and I would use slide guitar and repeat echo for some parts, even strike the strings behind the bridge for an effect. Mo Moore would use a tremelo pedal and fuzz box on the bass. Basically anything we could get out of the instrument we would use. How did you came in contact with Bacillus? We were actually originally signed to bacillus records as they were really the only label that showed any kind of interest in what we offered..like I said, ‘Journey’ wasn’t everyones cup of tea..Peter Hauke then sold the label to Bellaphon records. I’m not sure how the contact with Bacillus came about..I think it was at a concert somewhere..I may be wrong. 5. Then you started recording A Tab in the Ocean. What is the story behind that release? We had our own house nestled in the hillside of the Bergstrasse in a village called Seeheim where most of our writing and rehearsing was done in the early days. We didn’t have a lot of furniture then other than a coffee table a couple of chairs and a huge fish tank that we inherited from the previous occupant. We used to sit around a lot in the daytime just talking music when someone made a joke about what would happen if the oceans were spike with LSD. after the laughter died down we realized that we had a title for the new album as the beggining was sounding a little oceanic in the riff and effects being used. 6. Your third album called …Sounds Like This is more hard rock oriented, don’t you think? I agree..it was Nektar in the raw..we were often told that although the albums were well presented productons with a lot more polish..the real essence of the band lies in the ‘live’ performance and so we decided to dedicate an entire double album to this and play all the pieces we had collected over the first few years of our being together. 7. Remember the Future was released in 1973. I always preferred side one on this album. It’s so amazing…what did you had in mind while recording this album? Not a lot really..for us it was just going to the studio and recording another album..but something happened in the studio..something magical..it seemed to take on a life of it’s own and become an obsession for the band. 8. Then you released a couple more albums including Down to Earth and one of your best releases titled Recycled which is symphonic masterpiece in my opinion. What can you say about it? Down to Earth was a change in direction that is for sure..but I really enjoyed making it although I feel now that the production sounded very clinical and not the usual Nektar sound. That’s not to say I didn’t like the songs..but they could have been treated differently. However, I feel we made up for it with Recycled..to this day this is my most favourite album..and to perform side one on a concert is a joy, the finale at the end of side one to this day puts the hairs up at the back of my neck. 9. Where all did you toured and what are some great memories from touring? During the early years and when Nektar were gaining ground in Europe, we played a lot of shows..too many..in fact we made ourselves ill at one point with all the travelling..you must remember that the luxury sleeper tour buses were not readily available around this time..or if they were they were cost prohibitive..and rock musicians were not the clientel that the bus companies wanted on their super coaches. I think my greatest memory was the two nights we played in St Louise at the civic auditorium and the simulcast evening in NYC. 10. After all this years you are still very active and your latest two releases are Book of Days and Fortyfied. I would really appreciate if you could tell something about background of this two releases? After our break in the release schedule of the band..I took on a new Bassist and Keys player. There was some confusion as to how the band sounded now with 2 new players..so to alleviate any misconceptions as to how strong the band still are I decided to release a ‘live’ album featuring the new players..and so to celebrate 40 years of Nektar I released ‘Fortyfied’. Book of days was to intent and purposes the new album but in Demo format..it was supposed to be rerecorded..but at the same time we had some severe problems with our mamgement and instead this got released in demo format. Maybe further down the road we will rerecord that album with the full band, although some of the tracks can be heard prformed on Fortfied. In a few months time Nektar will be releasing an album called ‘a spoonful of time’ this will be an album of cover song that have been Nektarized to some extennt. We had the oportunity to have on board the musicianship of the likes of Rick Wakeman, John Wetton, Ginger Baker..and many more who will be putting their touches to it. Also being worked on at the momentis a new DVD recorded at the Key club in LA. This year will also see the finalizing of Nektars new album ‘Juggernaut’ that had to be delayed due to other work. 12. Thank you very much for your time! Would you like to send a message to all your fans and readers of It’s Psychedelic Baby Magazine? For those who know Nektar and have fllowed us I would like to say thank you for your support..for those that are new to our music a big hello. The band and I would like to say a big thank you to you all for keeping what we consider a great music genre going. Oh and thank you PBM for this interview.